It's a slight gain in skill when you just know that you have hit someone, but most new people wont know until they play into a bit of the game, I agree it's not right but only from logic. I see that you shoot and hit someone then the game tells you then its one less thing you can do rather than the game. So just because I know I hit somebody automatically gives me an upper-hand over the other player? I like them fine myself, but wouldn't weep over them if they were axed. The issue I think most people have at the moment is the sound the damn things make. As for skill gap, I only saw it having an effect either against cloaked opponents or when you're chucking a grenade into somewhere you can't see and get a hitmarker that reveals there is indeed a player in there. I like it on weapons just so I can't -Yoink- 'I HIT YOU, DAMMIT' when I didn't, but it would be a good thing if was removed for explosive damage against personnel. Hitmarkers for guns are fine, as connection issues leads to doubt as to whether shots actually connect. But grenade hitmarkers are just insanely stupid. It just allows random grenade throwing across the map to pin point enemy positions. Hit markers in Halo are pointless in general, when the person you hit lights up like a freaking Christmas tree. You'd think that would be enough indication that you're hitting your target. We have already seen hitmarkers in H4 and H2A. They are pointless. I don't really care either way. 343 seems to be getting rid of the lock on so a hit marker doesn't hurt in my opinion. In Halo 4 it was a rather large marker though, but in Halo 5's ADS/whatever zoom animation it seems that the hit marker is small so maybe this will be better or less distracting. I wouldn't mind being able to disable it. 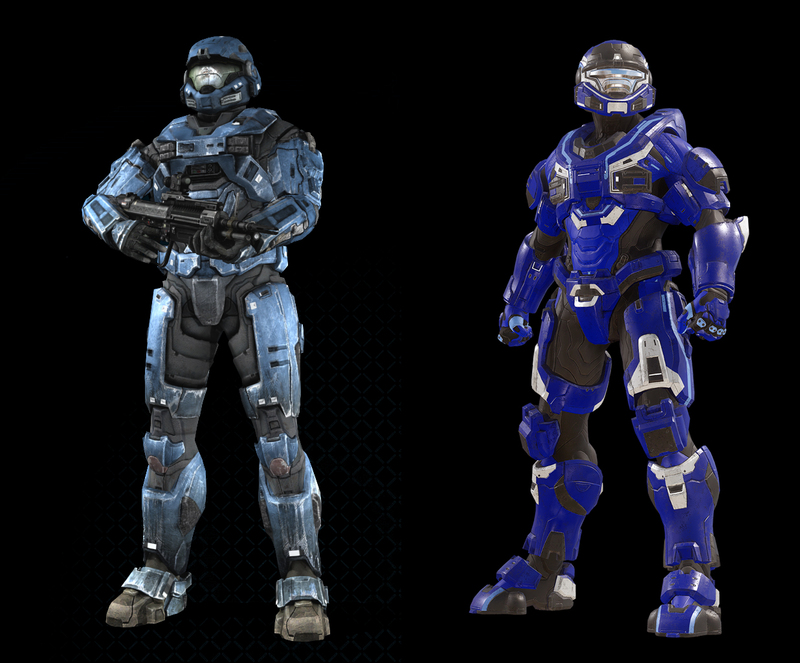 Compared to Halo 4's marker, the one in Halo 5 seems much smaller. I'm not going to lose any sleep about it anyway! Sure, because I definitely wouldn't just toss my entire grenade payload around that suspicious corner in Halo 2 and Halo 3. Ha... I'm just saying, grenade spam is a symptom of giving players more than a couple of grenades to throw. It has almost nothing to do with that hit marker function. Not every Halo game has been the best at visual hit identification, though. Halo: Combat Evolved, for example, has some of the least-visible shield flaring in the series. The more recent installments have been better about it - Halo: Reach was the best - but it still doesn't hurt to have the hit markers supplement that knowledge.